Bacteria release membrane-derived vesicles (MVs), which are small particles that can transport virulence factors to neighbouring bacteria or to the cells of a mammalian host. This special MV-based system for delivering toxic proteins and nucleic acids in a protected manner to the target cells may have different specific functions depending on whether the bacterium acts as an extracellular or intracellular pathogen. This is according to a doctoral thesis from Umeå University in Sweden. Together with her research colleagues and in collaborations, doctoral student Svitlana Vdovikova showed that MVs can have varying functions by using two different pathogenic bacteria as examples: Vibrio cholerae and Listeria monocytogenes. 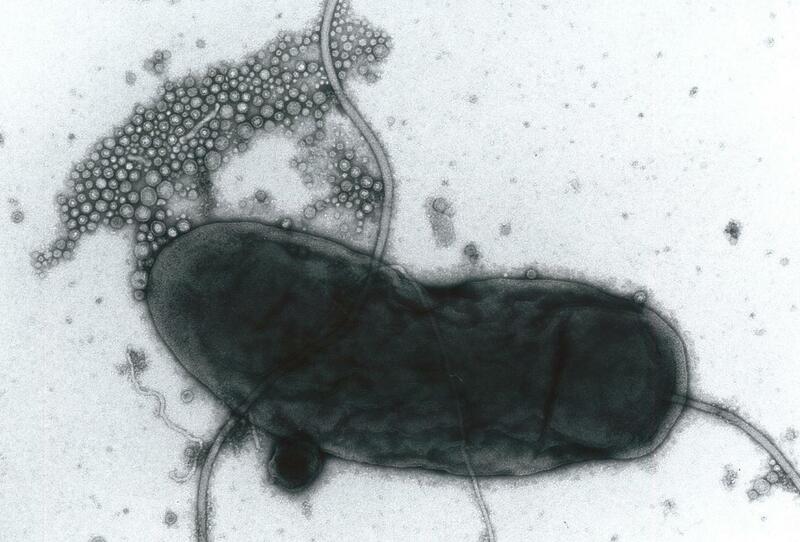 Vibrio cholerae causes cholera, a disease taking thousands of lives each year in developing countries. Listeria monocytogenes causes listeriosis, which leads to a deadly infection in one third of the cases and is especially dangerous for pregnant women and their fetuses, newborn children, and immunocompromised people. The researchers found that MVs from both Vibrio cholerae and Listeria monocytogenes transport so-called pore-forming toxins (PFTs). These proteins usually cause a range of toxic effects on the targeted human cells due to the formation of pores in cell membranes. "Pore-forming toxin delivered by Vibrio cholerae MVs activate autophagy, which serves as a cellular defence mechanism. In contrast, we found that the pore-forming toxin transported by membrane vesicles of Listeria monocytogenes does not trigger autophagy. Moreover, MVs from the Listeria bacterium can protect against the pore formation and autophagy. These findings suggest that MV production might be a relevant strategy of Listeria to manipulate host responses and to promote bacterial survival inside the host cells," says Svitlana Vdovikova, doctoral student at the Department of Molecular Biology. MVs serve as promising candidates for vaccine development and are used as tools in nanotechnology and for directed drug delivery. For example, a MV-based vaccine against meningitis is already being used in Europe, Australia and the United States. Additionally, bacterial MVs are currently being studied as drug-delivery vehicles for treating various cancer forms. "These results not only help us to understand more about the mechanisms of different bacterial infections. They also bring new opportunities in medicine and biotechnology, for example, by allowing to therapeutically modulate cell autophagy, a process which plays a central role in cancer, diabetes, cardiovascular and many other diseases," says Svitlana Vdovikova. Svitlana Vdovikova is originally from Ukraine, where she got a degree in Clinical Pharmacy and worked with education of pharmacists. Svitlana moved to Sweden in 2009 to do her Master studies in Molecular Biology. What happens if we run out?